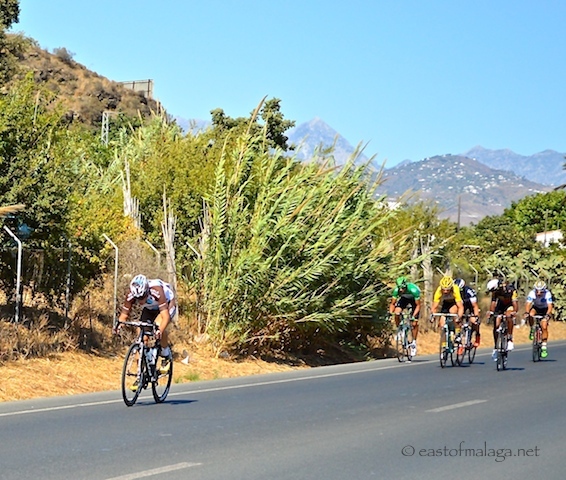 Málaga province has been experiencing the passion, emotion and excitement of La Vuelta a España (the Spanish equivalent of the Tour de France) during the first four days of the famous cycle race, before it moves on to other parts of Spain. The time trials began last Saturday in Marbella, before the race pushed off with Stage 2 from Alhaurin de la Torre, finishing the day at the world’s most infamous walkway, the Caminito del Rey. 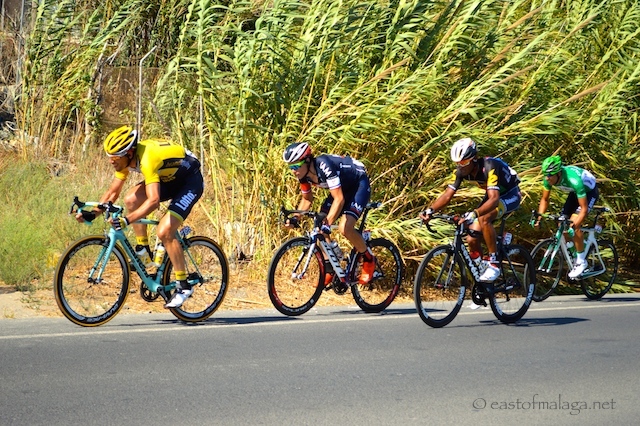 Stage 3 brought La Vuelta riders to the east of Málaga, yesterday, through spectacular mountains before heading down to the coast and turning west towards the finishing line in Málaga city. Road closures meant spectators being in position more than an hour before the riders came through, but fold-up chairs, beach umbrellas offering shade from the hot sun and a cool-box full of cold drinks made the wait all the more pleasant. Having decided to watch the race pass by at the start of the sprint section, just west of Torre del Mar, we were hoping to catch a glimpse of Tour de France winner, Chris Froome, riding for Team Sky. 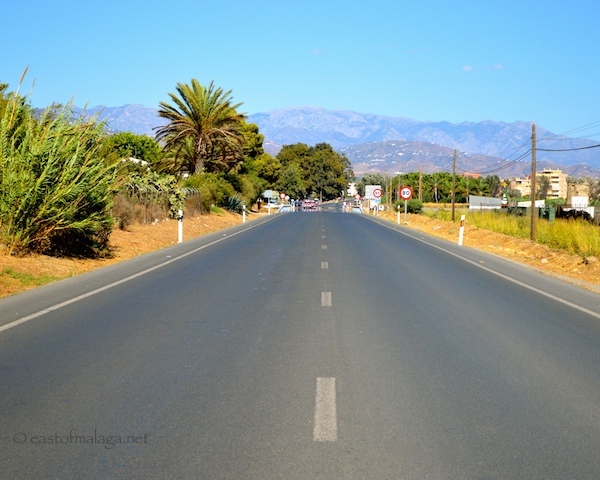 We had stunning views of the mountains and the road back towards Torre del Mar. Soon enough, motorcycle outriders started appearing and roaring past, first one then another. Surely they must be coming by now? The time of the riders’ scheduled arrival came and went, when suddenly, a helicopter appeared. 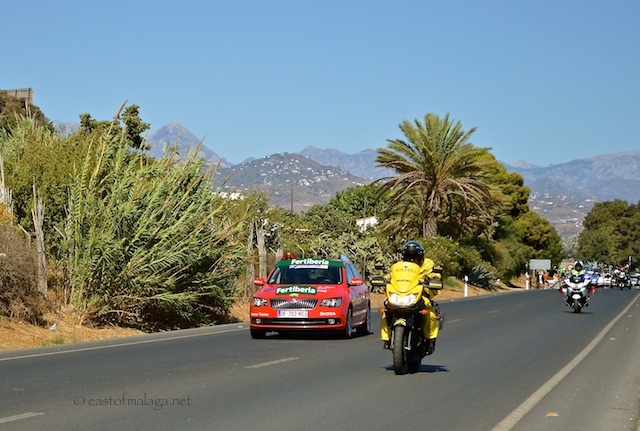 The leading group consisted of just six riders and the few people standing outside the Go Karting track on the N340a near to Almayate, started waving chequered flags, clapping and cheering. Only just over a minute later came the main body of cyclists known as “the peloton”. Would I be able to spot Chris Froome? The peloton streamed by and, it was all over in moments. 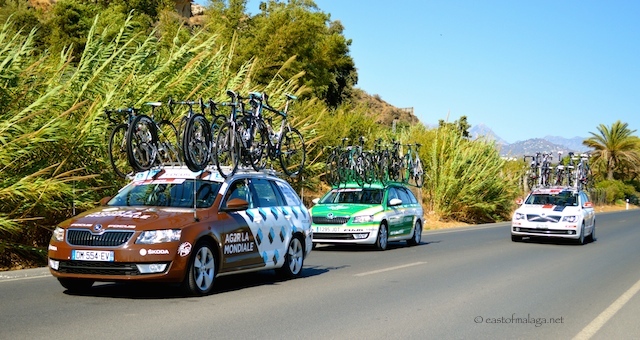 Following closely behind were the many support vehicles vying for position and pipping their horns. At one stage, I thought I might end up filming a pile-up of vehicles! 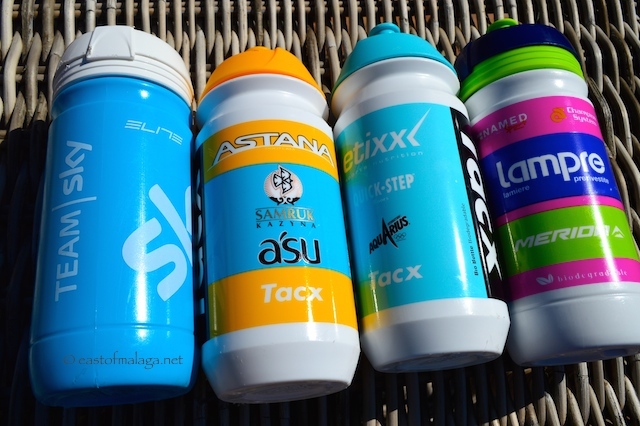 All that was left was to collect the water bottles that had been discarded by the riders as they passed. Did you notice one come whizzing my way (at 11 seconds) during the video? Yes, it hit me on the ankle! Anyone want a used water bottle? This entry was tagged Andalucía, East of Malaga, Europe, La Vuelta, La Vuelta a España, life, Malaga, photography, Spain, travel. Bookmark the permalink. Hahaha … you’re right, Gilly – I had NO CHANCE to spot him!